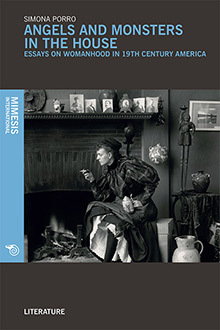 The three essays that comprise this volume explore literary representations of the ‘True Womanhood’ ideology, a narrative through which nineteenth-century women could invest their existence and their role in the world with meaning and purpose. In Victorian America, middle-toupper- middle-class women were not admitted to centers of public power. Being relegated to the private sphere, i.e., the domestic milieu, they had only one socially respectable function – that of a wife and mother – while the masculine sphere of action was the public one, the realm of business and politics. This rigid role differentiation, which affirmed the social supremacy of men over women, was allegedly sanctioned by God and by nature as well. Being divinely ordained, it would tolerate no refutation: as Barbara Welter perceptively noted, ‘If anyone, male or female, dared to tamper with the complex virtues which made up True Womanhood, he was damned immediately as an enemy of God, of civilization and of the Republic’. Simona Porro holds a Ph.D. in Comparative Literature from the University of Turin, Italy. She authored three volumes and the following essays: ‘Postmodern or Else? The Case of “Maus” by Art Spiegelman’, Cosmo, 1, (2012); ‘Architecture, Time, and Narration in “In the Shadow of No Towers” by Art Spiegelman’, Critical Engagements. A Journal of Criticism and Theory, 3.1 (2010).